Durch die weitere Nutzung der Webseite stimmen Sie der Verwendung von Cookies zu. Weitere Informationen unter Datenschutz. 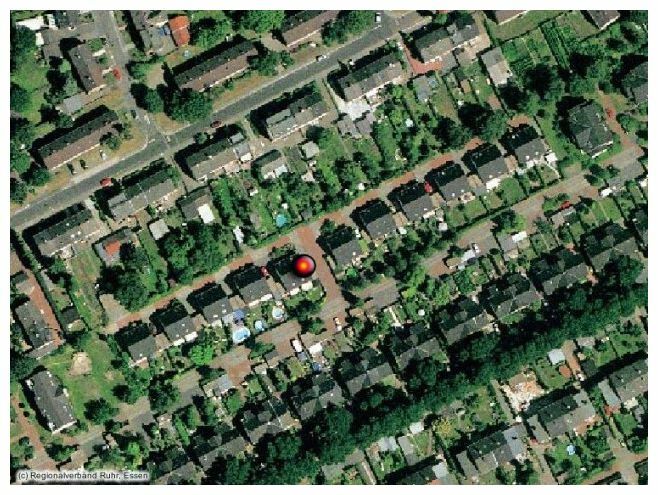 The Ruhr area (red marked), or the Ruhr district, Ruhr region or Ruhr valley, is an urban area in North Rhine-Westphalia, Germany. With a population density of 2,800/km² and a population of some eight and a half million, it is the largest urban agglomeration in Germany. It consists of several large, industrial cities bordered by the rivers Ruhr to the south, Rhine to the west, and Lippe to the north. In the Southwest it borders the Bergisches Land. It is considered part of the larger Rhine-Ruhr metropolitan region of more than 12 million people. From west to east, the region includes the cities of Duisburg, Oberhausen, Bottrop, Mülheim an der Ruhr, Essen, Gelsenkirchen, Recklinghausen, Bochum, Herne, Hagen, Dortmund, and Hamm, as well as parts of the more "rural" districts of Wesel, Recklinghausen, Unna and Ennepe-Ruhr-Kreis. The biggest city in the Ruhr by area and population is Dortmund. The Ruhr area doesn't have an administrative center, so each city in the area has its own administration. 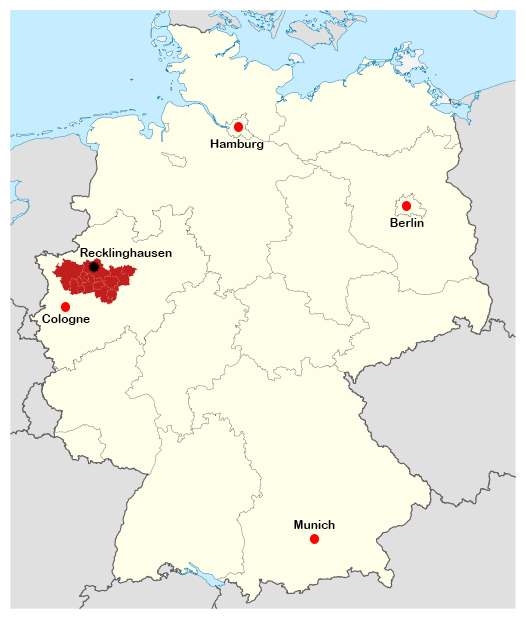 Historically, the western Ruhr towns, such as Duisburg and Essen, belonged to the historic region of the Rhineland, whereas the eastern part of the Ruhr, including Gelsenkirchen, Bochum, Dortmund and Hamm, were part of the region of Westphalia. Since the 19th century, these districts have grown together into a large complex with a vast industrial landscape, inhabited by some 7.3 million people (including Düsseldorf and Wuppertal).